Nelson and Colne College’s University Centre is inviting businesses and organisations to approach the college to have direct involvement in curriculum development to support them in upskilling workforces. 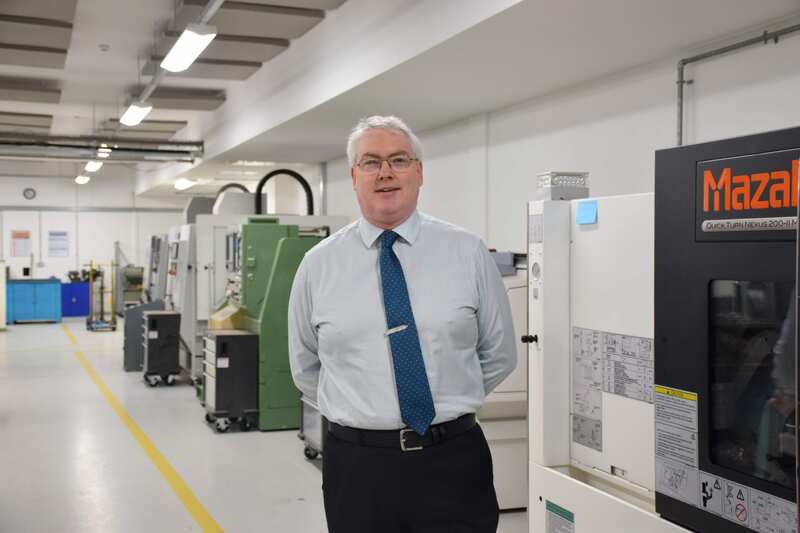 The University Centre’s Director of Higher Education Steve Wright says the college is extremely flexible in its HE curriculum development and has expanded its range of higher level courses and shaped its offer to meet the needs of the area. This is aiding businesses with succession planning and making them stronger organisations but is also encouraging Pendle’s talent to remain local by achieving a higher qualification or degree without travelling away to university. Only a fifth of working age residents in Pendle are qualified to Level 4 or above, which is well below regional and national averages. A lack of skilled employees impacts on the ability of businesses in the borough to thrive, and this was a key factor behind the launch of the University Centre at the college. Higher level qualifications offered are also local to learners, affordable in comparison to going to university and flexible through delivery methods, meaning it is easier for individuals and businesses to upskill. Steve said: “At the University Centre, we take a flexible approach to the curriculum development, and this includes actively seeking businesses and organisations in the area to come to us to see how we can help, and have direct involvement in forming and moulding courses to suit the needs of an industry or sector. “For example, we recently launched a new BEng (Hons) Top-up course through extensive consultation with a number of local engineering companies. “While the theory learners gain through our HNC and HND qualifications is extremely invaluable to the companies, the BEng course is designed around challenging them to think on their feet to develop advanced problem-solving skills to overcome issues that they could very realistically face working in a demanding engineering environment.